Readyman has a large variety of great survival products that just seemed to tantalize our senses. They are expertly designed, brilliantly engineered and are made to be ready to save your life, if need be. 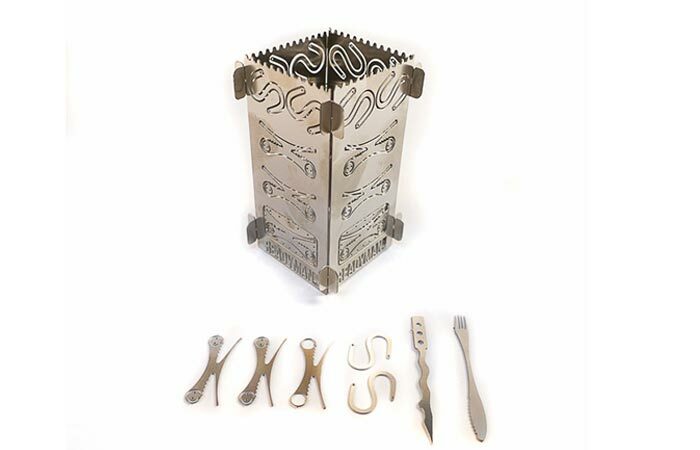 Well, the next one on our list is the Readyman Pocket Survival Stove. Proudly made in the USA with the ability to burn everything, the Pocket Survival Stove is a definite must have! By simply combining the four sides together, you have a fully functional mini stove that burns with incredible efficiency. As the name suggests, the Readyman Survival Stove is literally a pocket-sized stove that stands at 4 ½ “ tall and 2 ½ “ wide and only weighs 3.5 ounces. The entire stove is constructed out of 301 stainless steel and assembly takes 2 minutes or less. The Readyman Survival Stove can burn any biomass including bark, twigs, sticks, dried grass, moss and even dung. Once assembled, the stove offers both wind and rain protection and was also designed to deliver a focus flame that burns exceptionally hot. 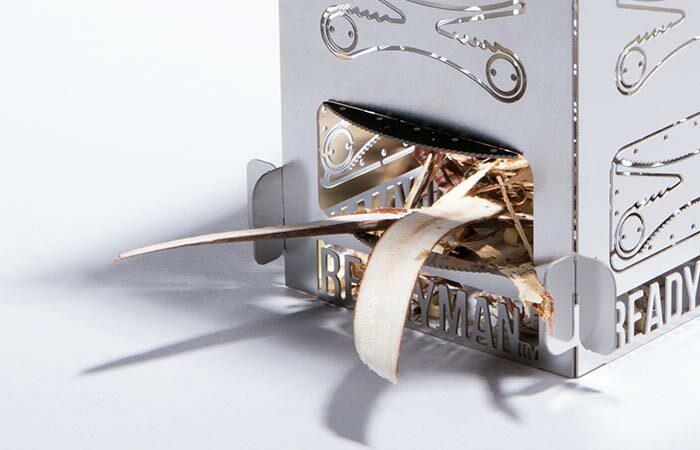 Fuel for the Readyman Survival Stove can be anything from twigs, to dry grass, bark, paper and even dung. Since the stove is constructed out of stainless steel, it can be reused multiple times and even comes in a waterproof, tear resistant bag that allows you to keep everything together. Don’t miss out on the instructional video below. As with all Readyman products, you’ll be pleased to know that it comes with a variety of multipurpose punch-out tools. 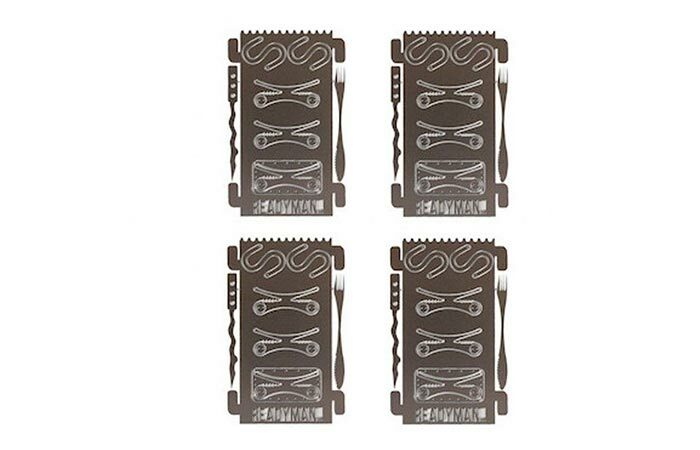 The stove itself is also the perfect size to boil a soup can in mere minutes and, as with most Readyman products, the Stove itself has punch-outs that act as multipurpose mini forks, skewers, “S” hooks, “O” Rings, a tinder scraper and a cleat.